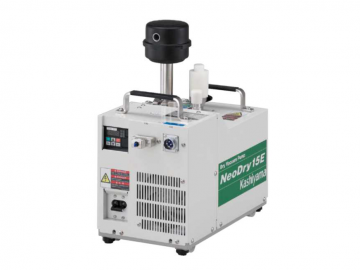 Corrosion proof, dry vacuum pump made wholly of Tefron® and Karlez®. 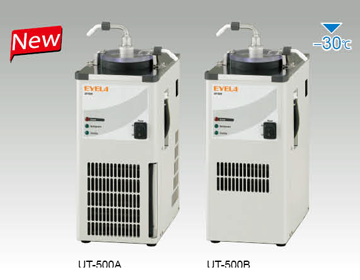 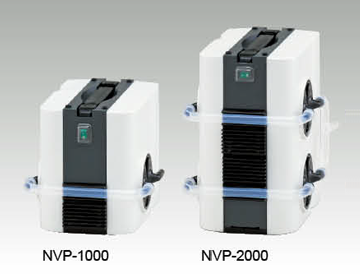 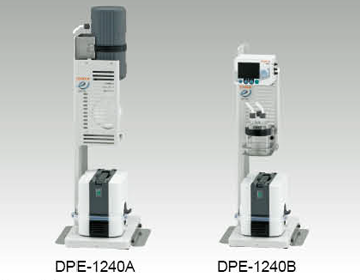 Small sized, high-performance vacuum pump. 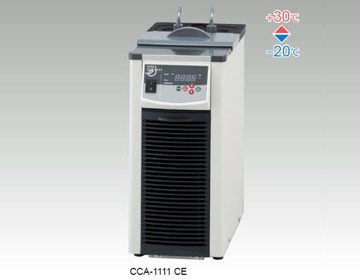 With oil filtration cassette (GCD-F). 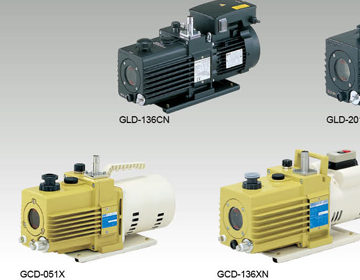 Small, high performance model (GLD). 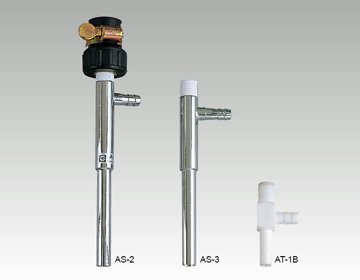 Highly recommended for use in an area lacking water service or where it is difficult to obtain constant water supply pressure. 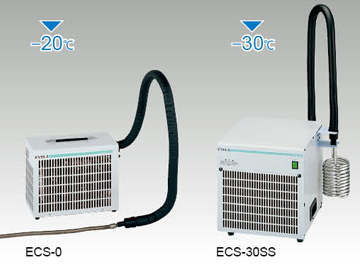 Compact, tabletop type cold trap for centrifugal evaporator and small evaporator. 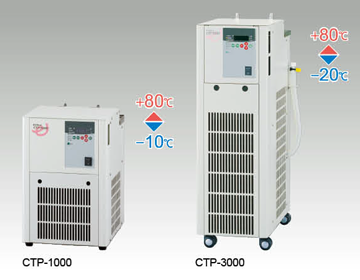 Cold trap featuring variety of new functions and digital display of trap temperature. 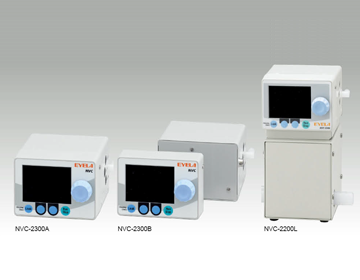 Vacuum controller with excellent control functions. 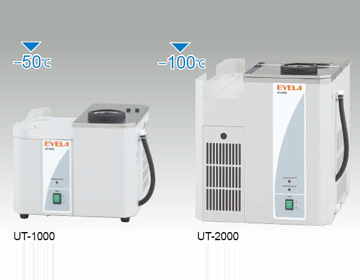 Connecting this unit to evaporator significantly improves the recovery rate of general solvents such as dichloromethane, benzene or trichloroethylene etc. 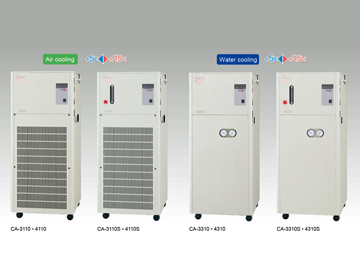 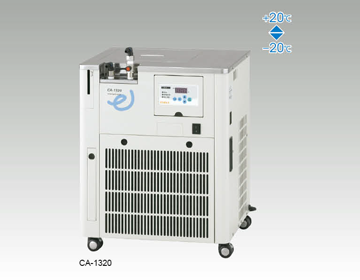 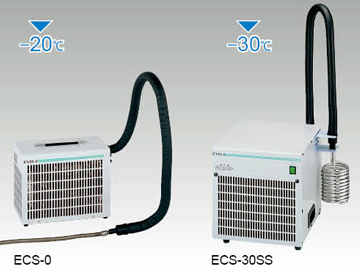 Solvent recovery cycle provided by automatic control unit satisfies requirements of air pollution control. 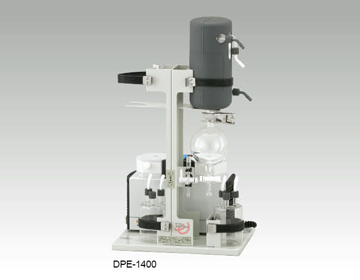 Solvents can be recovered continuously in a small space. 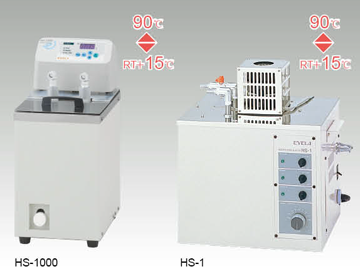 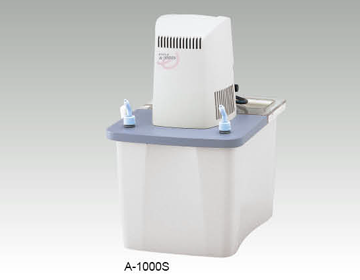 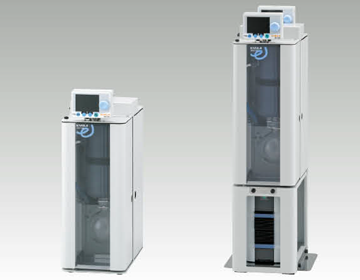 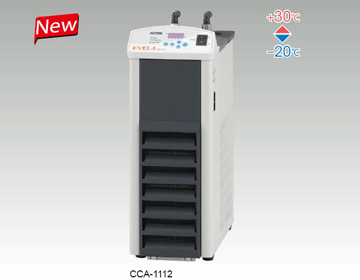 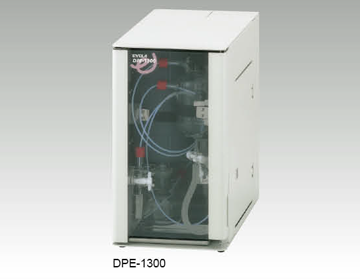 Provides laboratory safety environment at low cost. 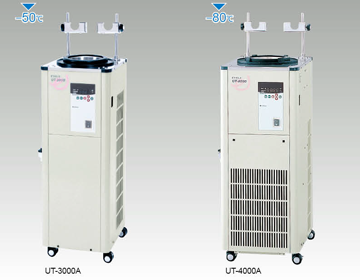 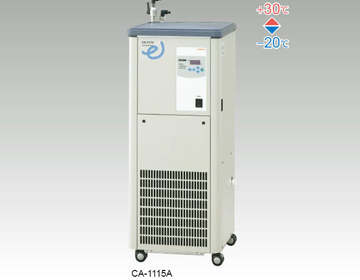 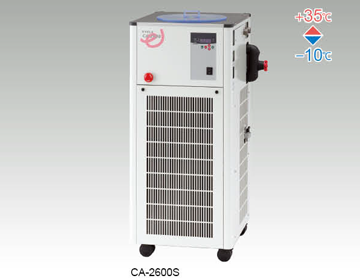 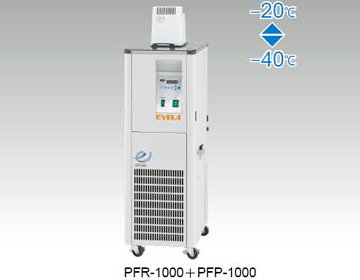 Hot water circulator suitable for low powered (900W at 40℃) device. 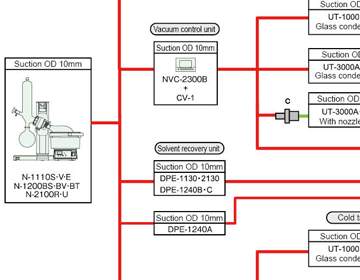 Applicable to closed loop system.